Little Flock is always seeking Catechists. A Catechist is more than a volunteer and the task is more than “helping Father.” We need both Leads and Aides for every level in Little Flock Prek3 - 5th grade. Subs and prayer warriors are welcomed to the team as well. The only requirement to teach our beloved Faith is to have a heart for our Lord and His children. You do not have to be a certified teacher. All lessons and curriculum outlines are provided for you. 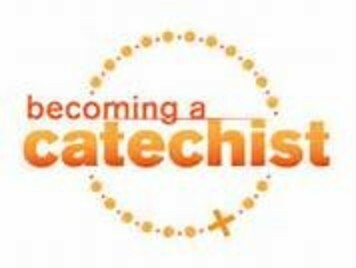 Your continued formation is important when you serve and we provide unique opportunities for Catechists. Time commitment entails reading through lessons and class time planning (30 - 60 minutes) and showing up for 12 scheduled classes in the Fall and Spring. 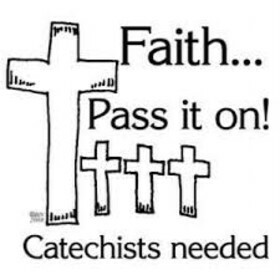 Please consider joining our Amazing team of Catechists. Special note: Teens between the ages of 14-17 years old must have parental consent. Adults must turn in the application provided below and take a safe environment class provided by the diocese. Read Catechism in one Year!